Located in downtown Austin and walking distance to the University of Texas campus, Hotel Ella is a stylish boutique hotel housed in the historic Goodall Wooten House, one of Austin’s original landmark estates. Constructed in 1900, the Greek revival-style mansion underwent an extensive renovation in 2013, and now offers the perfect balance between modernity and a rich history rooted in the fabric of the neighborhood and the university. With 47 guest rooms, a cabana-lined pool, and a wrap-around veranda overlooking our front lawn, Hotel Ella features beautifully designed outdoor and indoor spaces perfectly suited for your vacation, wedding, corporate event and more. Tucked away in the Texas Hill Country, Lake Austin Spa Resort invites you to escape the hustle and bustle of life and head to our secluded retreat on the shores of Lake Austin, just 30 minutes from downtown. Embrace relaxation while enjoying all-inclusive packages complete with elegant accommodations, gourmet dining, unlimited indoor and outdoor fitness activities, and discovery programs, all enhanced by our luxurious lakefront setting and award-winning service. Whether you’re deserving of some of quality pampering time, looking to reconnect with nature or desiring a guilt-free getaway, let your journey begin here. Kimpton Hotel Van Zandt is a refined riff on Austin’s world-famous music scene and your front-row seat to all the action. A perfect base whether you crash hard or chill out. A leader among Austin hotels with signature happenings and exclusive hideouts geared for music tastemakers. And you can bet there’s a shot of creativity and a hot streak of independence roped in that only boutique hotels like Kimpton can muster. Kimpton Hotel Van Zandt is distinguished, laid back and designed from the ground up to be an all-access pass to an authentic Austin experience. A hotel for friends from near and far in Austin, Texas. Built in 1936 as an “ultramodern” motor court, the property has been transformed into a 40 room urban bungalow-style hotel tucked behind stucco walls and set amidst lush garden courtyards. 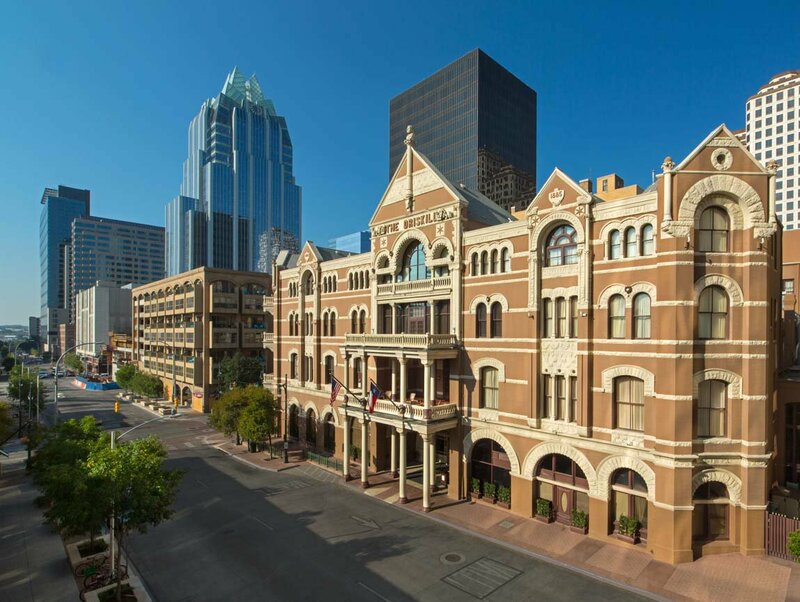 The Hotel San José is located on South Congress Avenue, a few blocks from downtown and Lady Bird Johnson Lake in the heart of one of Austin’s favorite neighborhoods. In addition to being a unique place to sleep, the Hotel San José serves as a gathering place and occasional hub of community activity for locals and visitors alike. Dogs are always welcome. Previous postSouthwest Companion Pass Special!